In order to make the visitors tracking easy, Google analytics created the UTM tracker, for this reason you should take a look on the UTM Code Generator plugin for Wordpress, It helps you to build UTM links to track your visitors/campaigns easy. The plugin requires only your Google Analytics Tracking ID if you want to install tracking code (if tracking code not exists). 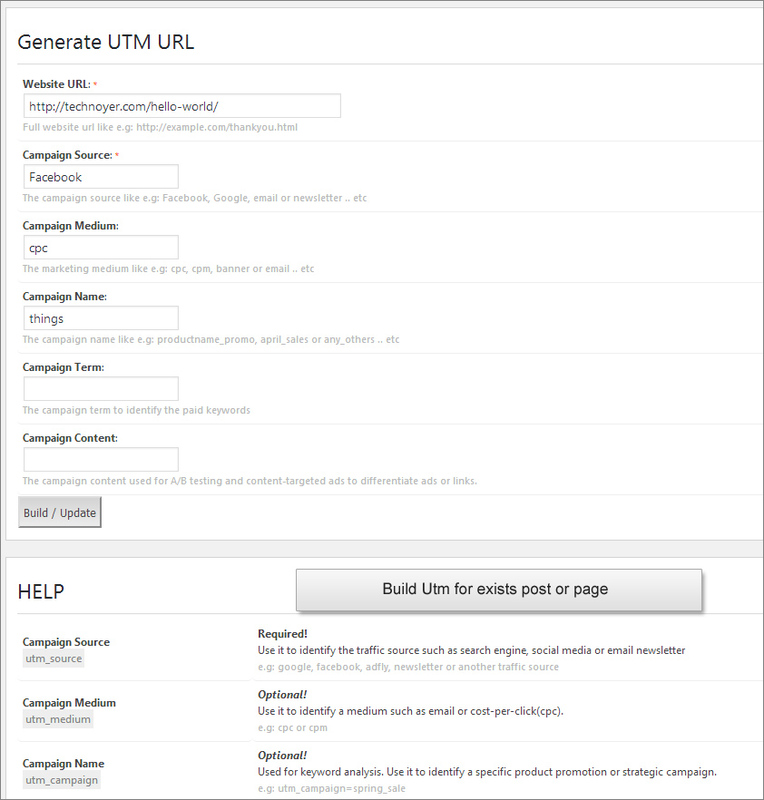 It helps you to build UTM links for posts, pages or/and both by its ID with once-click- wizard. Easy form to build a free UTM link from your existing Wordpress or other website link. Good help included to explain the building form. The plugin adds menu in the admin bar for fast building. 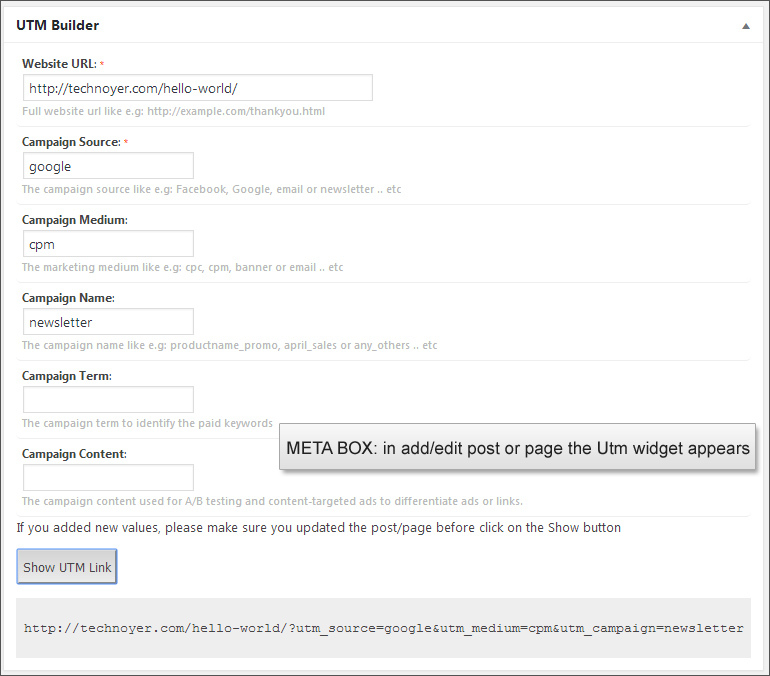 The plugin helps you to store default UTM (post meta) values for every post or page in the add/edit page for posts or pages. Full control: enable/disable admin bar option. Full control: enable/disable plugin for posts, pages or both. 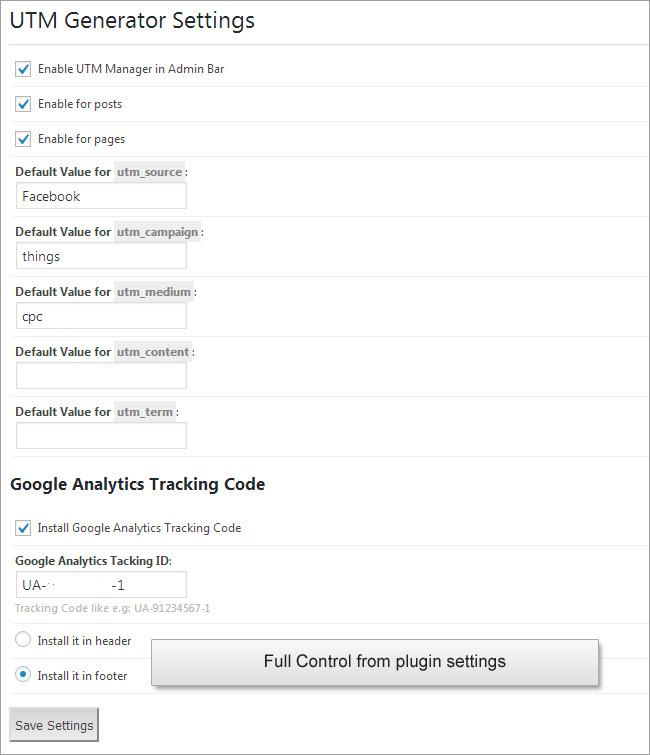 Full control: enable/disable installing Google Analytics Tracking code. Full control: the position of the Google Analytics Tracking code (header or footer). Full control: set default UTM values for builder wizard. Why UTM Code Generator Wordpress Plugin? 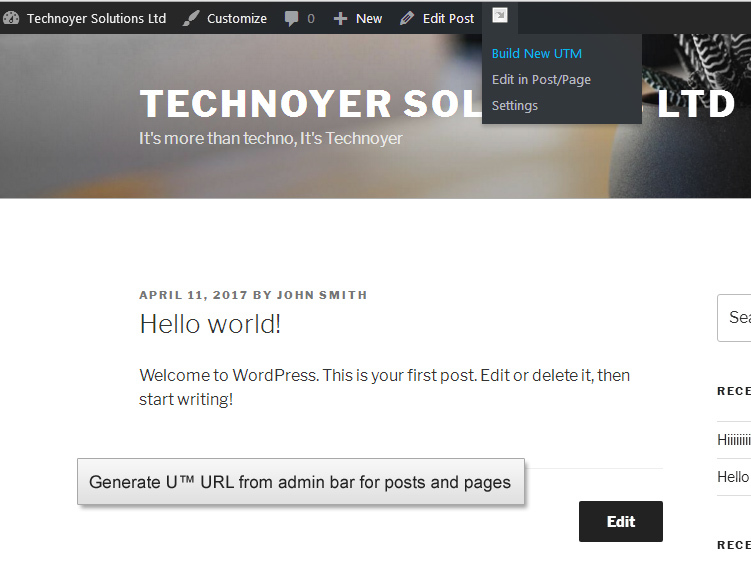 Technoyer UTM Generator is a Wordpress plugin, It is easy to install and use. Technoyer UTM Generator built on stable versions of PHP and Wordpress. Technoyer UTM Generator built to help you to build/generate google analytics UTM URLs. Technoyer UTM Generator built to help you to install google analytics tracking code if it isn’t existing. make your internet marketing super effective. - Fixed: the purchase verification process.